WestHost Review 2019: Is WestHost a Good Hosting? 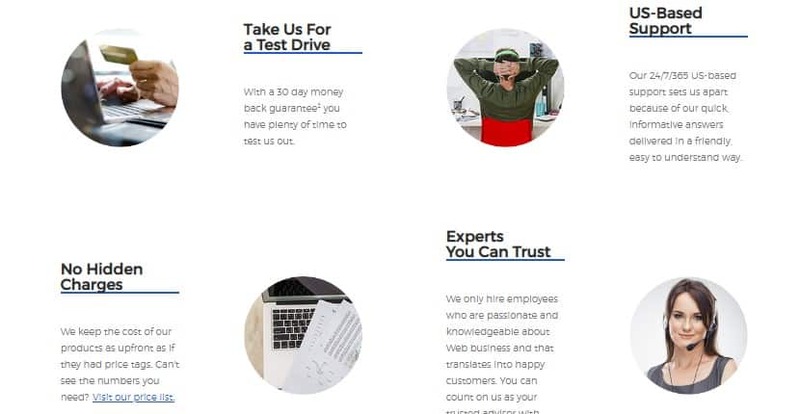 WestHost was established in 1998 with a mission to empower customers just starting out to effectively launch and maintain their businesses online. Today, they continue with their commitment to delivering innovative web hosting to small, medium-sized, and large businesses in many countries across the world. WestHost has been delivering web hosting services to customers in the United States, Canada, India, Brazil, the United Kingdom, and many other countries since 1998. The vendor believes in empowering their customers to grow their enterprises on the web through high-quality hosting service offerings. Under the umbrella of parent hosting company UK2, WestHost is able to leverage on the combined hosting infrastructure of multiple providers to offer their clients exceptional services at inexpensive rates. With over a million domains registered on their service, WestHost’s presence in the web hosting space is clearly noteworthy. Host multiple websites – Most of WestHost’s plans (with the exception of their Personal Hosting plan) allow you to host an unlimited number of websites on their shared servers, essentially reducing the money you would need to spend on hosting. Super-fast installation and deployment – WestHost has designed their platform to allow users to set up and use applications in a single click, saving you lots of time. Several storage and bandwidth options – WestHost gives you plenty of storage and bandwidth options to cater for any business, regardless of its size or sophistication. Given the many features included in their hosting packages, WestHost’s rates are extremely fair in my opinion. You can choose to pay for your subscription on a monthly basis, an annual basis, or every two or three years. The longer you subscribe for, the higher the discount WestHost will offer you. This vendor does not offer any free hosting plans, nor does it have a free trial period. However, there is a 30-day money-back guarantee for shared hosting so you can check out their platform risk-free. WestHost’s support is pretty standard. The company has a 24/7 live chat option where you can directly talk to their support team, as well as a knowledge base to get you acquainted with the hosting platform and how to get around most of the challenges you’re likely to come across. There’s also a toll-free number you can reach them at. WestHost provides a number of email addresses through which you can get in touch with specific departments. In my experience, WestHost’s technical support is polite and resourceful, but it can take some time to get a response back, especially if your issue is complex. WestHost provides high-quality website hosting solutions. With over one million websites registered and many clients acquired over a two-decade period, there is no doubt that their hosting solutions are quite remarkable. Wondering how WestHost stacks up against other Web Hosting companies? Enter any other Web Hosting company and we will give you a side-by-side comparison.